I Got A Henna Tattoo-- And So Should You! On a recent trip to Seattle, in the spur of a moment decision, I got a Henna tattoo. I had been wanted to try it for a while, as a means to scratch my itch for another tattoo, but never found the opportunity. It was hot and my brother’s girlfriend and I were waiting for my family to finish up the concert they were attending. The Seattle Center was abundant with many things to do; from street performers, magicians, large festivals, and professional artists. Anywhere you looked, there was something new to grab your attention. 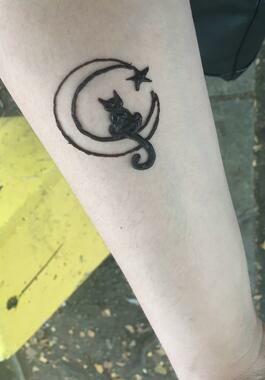 We made it to the closest Henna artist’s booth and I got a simple design: a crescent moon with a black cat. We were told to wait a couple hours for the henna to naturally flake off. We did, and at first it seemed like nothing had happened. I was still as pasty white as ever. However, throughout the next day, the Henna turned darker and darker until it was bright blue-black. A week later, it was still as vivid as the day I got it. This is due to lawson, a reddish-orange dye within the Henna plant, which reacts with the keratin in skin to temporarily stain the first layer. Depending on the quality of the Henna, Henna tattoos can range in color from reddish-brown to almost black. Getting a Henna tattoo can be an easy way to experiment with body modification without the permanence of a real tattoo. These tattoos can last anywhere from a week to a month, and are a short-term way to express your creativity or experiment with different designs. 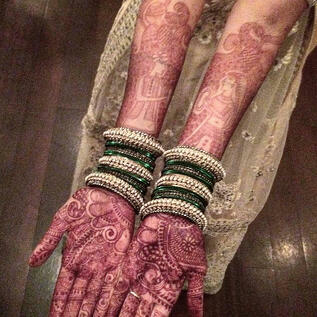 Historically, Henna has been used across several cultures, from the Roman Empire, to India, to South Asia, to Egypt. It has been used medicinally to treat ailments from sunburns to hair loss, and can also be used as hair dye or nail polish. The most widely known use of Henna is its ability to create a ‘temporary tattoo’ on the skin. With Henna’s popularity growing in the west, more people are finding creative ways to use it for expression. From expectant mothers decorating their stomachs to accident survivors hiding their scars, its beauty helps capture the important moments of life. 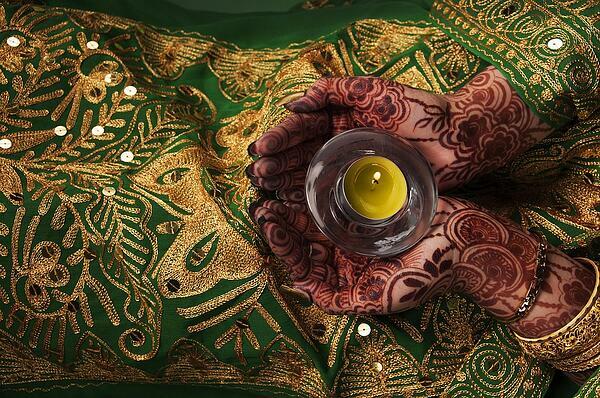 Traditionally, Henna is most widely used in rites of passages or in celebrations, but different cultures have their own traditions in which they are used. In India, one of the most common usages is the night before a bride’s wedding. Known as Mehndi Night, during the celebration, family members or Henna artists create intricate patterns on the bride’s arms and legs. It is believed that the darker the tattoo turns out on her wedding day, the better the marriage and the bride’s relationship with her in-laws will be. Idaho State University’s Continuing Education and Workforce Training will be offering two courses on Henna body art on September 10th and October 8th. Both sessions will focus on the basics of Henna tattoos by learning about how Henna works and by creating simple designs. 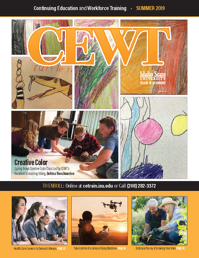 If interested in signing up, please visit cetrain.isu.edu or call (208) 282-3372 to register.